Camp Erin Parents is an online interactive community dedicated for parents who, along with their child, have experienced the loss of someone close to them. Our goal is to provide a safe and warm environment and support network, allowing parents to share their story, ask questions and gain information necessary in moving forward. Yes hello, my 3 kids (10,12,13) just finished Camp Erin in Tampa Area and they loved it! Does anyone know of any other types of grief camps in Florida? Or similar Kids Camp? Hi Kevin! Great question. If you reach out to Molly, Director of The Moyer Foundation Resource Center, at (206) 298-1217, she’ll be able to assist you. My twin 12-yr old nieces lost their mother (my sister) on 4/23/16 after a 3 year battle with cancer. Their father and I don’t know how to help them grieve. We live in the San Francisco area and I hope to be able to get them into camp there. The site is currently down. Hi Linda – Thank you for your message and sharing your story. We would love to connect you to Camp Erin San Francisco. Here’s a working link to their website – http://kara-grief.org/services/camp-erin/. Hi Barb – Thank you for your message and sharing your story. If you are interested in registering a camper for Camp Erin Tacoma, you can contact the camp director, Darren Wenz, for more information. His email is darren.wenz@multicare.org. My twin sons lost their mother in the Fall of 2014 and attended Camp Erin the summer of 2015. What a great experience!!! My son Ryan RARELY gets excited about anything, and on the way home kept saying “I can’t wait to go back next year”. There is no guarantee they will get in again this year, but we will try!! Thank you to all who support Camp Erin…truly a great concept. What city, state? We will do our best! Thanks for inviting me to this forum. My son lost his father about 15 months ago when he was 8 years old. We attended Camp Erin in Julian (San Diego County) last summer and it was life changing for him. I get emotional even thinking about it and the ways that the experience opened him up and allowed him to deal with his grief in a safe/loving way. Just today he told me he couldn’t remember his dad’s voice…but as a result of Camp Erin, I know that he’s better equipped to deal with moments like this. I hope we can go back to camp. It was a magical experience for my daughter, transformational! My daughter’s best friend committed suicide on my daughter’s 16th birthday (May, 2014). Camp Erin was such a gift. She came home with a new perspective and stronger coping skills. I am very grateful for Camp Erin. My two children lost their father 6 months ago. They attended Camp Erin Palm Beach and they wish to return for another weekend. Camp Erin has been a blessing!! Thanks to the Moyer Foundation for providing my kids with such amazing experience. Thank you to Camp Erin.. We lost the children’s father due to Cancer this Nov.. My children for once did not feel all alone in this world and just are finding their grounds when they could not before! I thank the Moyer Foundation for the opportunity for my grandson William to attend Camp Erin this year. He had a ball and I want to thank all the staff and volunteers for their support in this effort. — Linda W.
Thank you for your service. My son attended Camp Erin for the first time and said it was the best experience of his (11 yr old) life. Thank you to all who made this grief camp possible. I just want to thank the Moyer foundation and all the wonderful volunteers at Camp Erin. 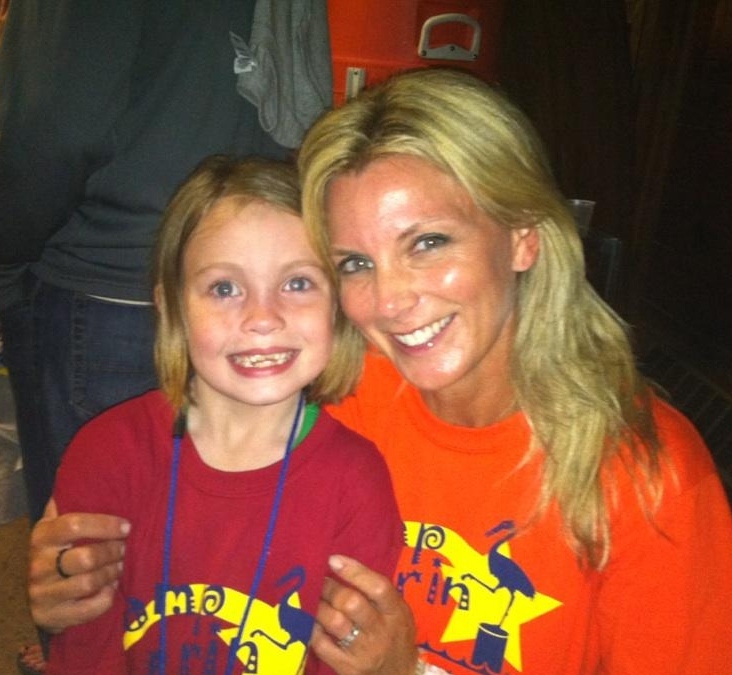 My daughter Chloe attended Camp Erin a year after we lost my husband, and it was an awesome experience for her. She met a girl that she has remained friends with who lost her father a few days after Chloe. They had alot of the same feelings about the loss of their dads. The camp helped Chloe to see that there were other children just like her going through the same pain. Everyone at Camp Erin was wonderful. The volunteers really helped make camp a positive experience for all the kids. I have recommended the camp to other people. My daughter went last year 4 months after she lost her father, she also lost her grandma 9 months before that and her aunt a year before. It has a blessing she can be around other children that understand to lose people they are close to. I am so glad that I found out about this program I know it is a great program. My daughter wants to go back this year. also i can now pass this camp on to others whose children who have lost love ones. Many heartfelt thanks to Camp Erin and the Moyer Foundation for providing my son with one of the best experiences of his life! He was 16 months when my husband died suddenly, so all of his memories of his father are from stories, photos and videos that I’ve shared with him. I didn’t even know about Camp Erin until he was 9 years old, but I’m so glad I found it! It was so good for him to be surrounded by other children who totally understand what he goes through. Camp Erin was a great experience for my son the year after we lost his dad to cancer. I wish he could return for another weekend. Camp Erin was amazing for my daughter after we lost her brother/our son in a terrible accident last summer. It gave her a place to express her grief and remember her brother, it also let her know she wasn’t alone. That others knew what she was going through. It often feels like we’re the only ones who have ever gone through something this terrible, but I know we’re not. I just wish they’d implement a family/parents portion as well. Thank you Moyer Foundation and MargaretAnn’s Place in Milwaukee for offering such a wonderful thing. Thanks to Hospice of Anchorage, Alaska and Camp Erin for being there for my husband, Bo, granddaughter, Ciara and I. We lost our youngest daughter, Brittany (Ciara’s mom) 2 years ago this Dec. 21, 2009. Hospice has been a part of life for us. Ciara turned 6 last May 19th and was able to go to Camp Erin. It has been pretty emotional for me lately due to Britt’s anniversary date coming up and the Holidays. Out of our three daughter’s, she was the youngest and born on my birthday. I have to admit that Hospice of Anchorage has really been a GODSEND. We have a pretty large support system of family, friends and people who just care. My son Thomas lost his sister Jenna so it is so great to hear there were other kids like him. Would love to chat about your experience if you want. My son was the youngest there so not a real chatty cathy with info. Thanks to the Moyer Foundation for this. Camp Erin was a great experience for my kids, Abby and CJ after they lost their brother/my son – Zac.